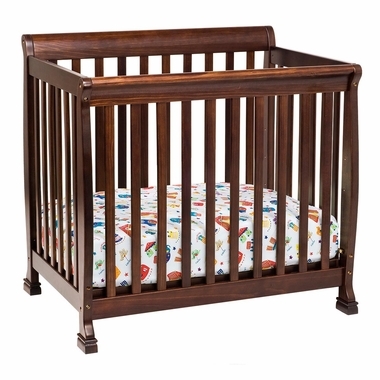 I bought two of these cribs (DaVinci Kalani mini crib in espresso) for my in-home childcare business and am very happy with them. The cribs are made of quality workmanship and are solidly built. They look and feel like furniture, not just a cheap, shaky crib although I would suggest you purchase a 24" x 36" mattress about 2 - 3 inches thick to replace the thin one that comes with it. 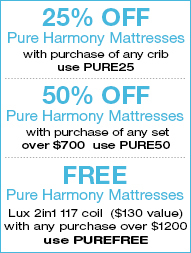 No matter which crib you buy, the mattresses that come with them are always too thin. Don't think twice about the quality. I think you'll be very happy with this crib. This is the perfect crib for small spaces-well built, easy to move and the expresso is just beautiful. Anyone with a small area you will not regret buying this crib. Customer service was great in the beginning, The product was very nice, until we got to the last item it had dents and alot of scratches on the combo changer, have been waiting over a month to get a replacement..now they have no details for me when we should get our item. Great until you have a damage part. love it & so do my grandbabies!